Style Finds! 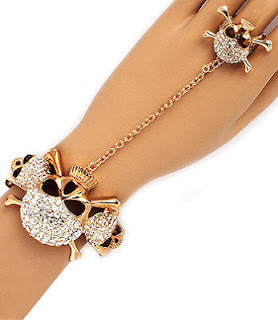 While browsing online boutiques, I came across the Gold Skull Bracelet/Ring. I wanted it, but it's currently sold out. So I thought I'd blog it as a reminder to check back soon-and see if it's in stock. Also available in silver ($25).